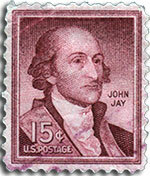 The master's programs at John Jay are among the best in the nation. Students from around the world apply to our programs. If you are interested in applying to a master’s program at John Jay College, you must meet specific standards for acceptance which can be reviewed below. A minimum undergraduate cumulative grade point average of 3.0 and higher ("B") is required. An applicant who meets the admission requirements, except for the course in Statistics can be accepted on the condition this undergraduate requirement is completed during the first year of the program. If you are applying to the Master of Arts in Criminal Justice Program, please note that the Admissions Committee for this program seeks students whose record of performance at the undergraduate level and whose writing skills indicate they are likely to do well in graduate school. While the Committee understands that a variety of factors can influence undergraduate grades, applicants whose grade point average is below 3.0 are rarely accepted. Applicants whose averages exceed this average should not, however, assume that they will automatically be admitted. Two letters of recommendation and a personal statement is also required for admission. If you are applying to the Master of Science in Digital Forensics and Cybersecurity program, you should have completed courses on data structures, algorithms, an object oriented programming language, operating systems fundamentals and a year of calculus. Students with insufficient Computer Science academic background can apply to one of the Certificate programs which can be used as a bridge to the MS program. The GRE is required for admissions for students with a GPA below 3.0 and without a computer science background. For more information regarding admission prerequisites please contact the Program Director Doug Salane Dsalane@jjay.cuny.edu / 212-237-8920. The Master of Arts in Economics program requires a minimum undergraduate grade point average of 3.0 (B) and higher. Students should have completed undergraduate courses in statistics and a year of calculus (Calculus I and II). Students can be conditionally admitted if they are deficient in two of the prerequisite courses. Students will also need to submit three letters of recommendation and a personal statement about why you would like to study in our Economics program. For more information regarding admission prerequisites please contact the Interim Program Director Ian Seda Iseda@jjay.cuny.edu . If you are applying to the Master of Science in Forensic Science program, a minimum undergraduate cumulative grade point average of 3.0 ("B") and a GRE preferred combined score of 297 or higher are required. The GRE can be waived for students with a master’s degree or international students from Universities outside of the US. John Jay BS in Forensic Science graduates with a GPA of 3.5 or above can also qualify to waive the GRE. At minimum, applicants should have successfully completed the following prerequisite undergraduate coursework: one year of biology, one year of general chemistry, one year of organic chemistry, one year of calculus, one year of calculus-based physics, one semester of biochemistry and one semester of physical chemistry and one semester of statistics. Students may be conditionally accepted with deficiency in any one of the last three courses provided the course is successfully completed within the first two semesters of the MS Program. Students who are deficient in several courses should contact Program Director, Dr. Mechthild Prinz Mprinz@jjay.cuny.edu / 212-237-8795 to discuss the option of taking pre-requisite courses as a non-degree or second BS degree undergraduate student. If you are applying to the Master of Arts in Human Rights program, you should have completed undergraduate courses in statistics. A minimum undergraduate grade point average of 3.0 ("B") and higher is required. Applicants will be required to submit a 500 page personal statement which should showcase students writing skills and submit three academic letters of recommendations. For more information regarding admission prerequisites please contact the Program Director, Susan Kang at Skang@jjay.cuny.edu. If you are applying to the Master of Arts in International Crime and Justice Program, please note that the Admissions Committee for this program seeks students whose record of performance at the undergraduate level and whose writing skills indicate they are likely to do well in graduate school. A minimum undergraduate cumulative grade point average of 3.0 and higher ("B") is required. Applicants whose averages exceed this average should not, however, assume that they will automatically be admitted. Students who do not meet the minimum GPA requirement can submit General GRE scores to supplement their application. The Graduate Admissions Committee will evaluate the GRE scores as one component of the application profile. Students are also required to submit a writing sample of a previously submitted research paper (5 to 10 pages) in addition to academic letters of recommendations. Please contact Program Director Dr. Gohar Petrossian for general information at Gpetrossian@jjay.cuny.edu. If you are applying to the Master of Science in Protection Management program, you will concentrate in either security management, fire protection management, or emergency management. A minimum undergraduate grade point average of 3.0 ("B") and higher is required. Students without an adequate fire science background may be required to take fire science courses at the undergraduate level in order to qualify for matriculation. The Graduate Admissions Committee seeks students whose record of performance at the undergraduate level, and whose writing skills, indicate they are likely to do well in graduate school. Applicants with undergraduate gpa(s) lower than 3.0 can consult with Interim Program Director Dr. Robert McCrie at Rmccrie@jjay.cuny.edu. If you are applying to the Master of Public Administration - Public Policy & Administration (On-campus or Online) or Master of Public Administration Inspection and Oversight (On-campus or Online) program, a minimum undergraduate cumulative grade point average of 3.0 or higher is expected. Applicants with undergraduate GPAs lower than 3.0 may be required by the Admission Committee to submit GRE scores with their applications. In addition, applicants should have completed 18 undergraduate credits in the social sciences. The Graduate Admissions Committee seeks students whose writing skills and record of performance at the undergraduate level indicate they are likely to do well in graduate school. Students may be conditionally admitted but must complete the required courses within the first year of the program unless a Degree Completion Plan approved by a Program Director provides otherwise. If you are applying to the joint Master of Public Administration - Inspection and Oversight & Juris Doctorate with CUNY Law School program, a minimum undergraduate cumulative grade point average of 3.0 or higher is expected. Applicants with undergraduate GPAs lower than 3.0 may be required by the Admission Committee to submit GRE scores with their application. In addition, students are required to apply to the CUNY School of Law and be admitted in order to be a part of the Joint MPA/JD degree program. The Graduate Admissions Committee seeks students whose writing skills and record of performance at the undergraduate level indicate they are likely to do well in graduate school. Students will need to meet the same requirements as the MPA program noted above in addition to the Law Schools requirements. If you are applying to the Master of Science in Security Management program, a minimum undergraduate grade point average of 3.0 ("B") and higher is required. 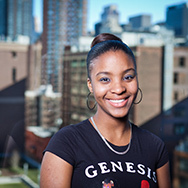 Applicants with undergraduate gpa(s) lower than 3.0 can submit a personal statement advocating for their admissions with their application. Consult with to Dr. Marie-Helen Maras at MMaras@jjay.cuny.edu. Admission to the program will be based upon the following criteria: a bachelor’s degree, with an undergraduate GPA of 3.0 ("B"); a graduate degree in psychology, social work, or counseling; a personal statement that supports the applicant’s request for admission to the certificate program; appropriate letters of recommendation. John Jay offers an array of Graduate certificate programs to individuals who are seeking career advancement or study in targeted areas such as criminal investigations, race and criminal justice, transnational organized crime or health care inspection and oversight and more. Admission to the advanced certificate program will be based upon the following criteria: a bachelor’s degree, with an undergraduate GPA of 3.0 ("B"); a personal statement that supports the applicant’s request for admission to the certificate program; and 2 to 3 letters of recommendation. The Post Graduate Certificate in Forensic Psychology, Applied Digital Forensics and Computer Science for Digital Forensics certificates require 3 letters and all others require 3 letters of recommendation. Most programs do not require standardized test scores such as GRE’s. The Applied Digital Forensic Science and the Computer Science for Digital Forensics Programs require the GRE. 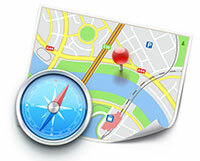 For directions to the College, click here.